I can't believe how close Christmas is! It's literally just over a month away and this year I have decided to start my shopping early. I'm sure some of your are thinking that this is not early at all, but for me it is super early because I always wait until the absolute last minute. But then I find myself in a rush and maybe compromising on the gifts because I don't have time to find the perfect things I had in mind. This year everything is going to be done online from the comfort of my couch and the presents will be perfect and well thought out. 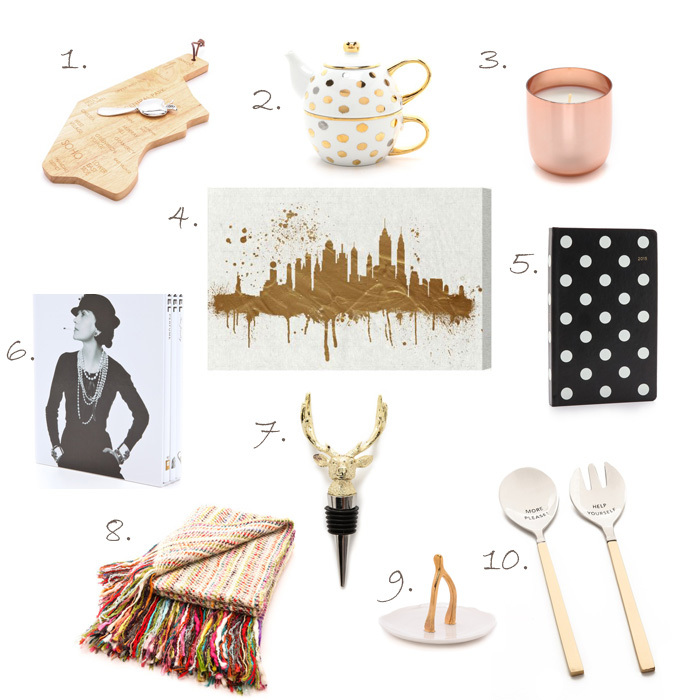 With my mom in mind, I have created this board of gift ideas for the home. Shopbop has made it foolproof with their Gift Boutique and now I am finding myself wanting to redecorate. Sigh... this happens every year.